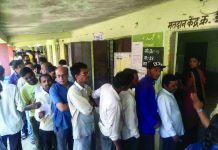 The Election Commission of India has announced that the country would vote in seven phases from April 11 to May 19 and the results will be announced on May 23. The five-year term of the 16th Lok Sabha is due to expire on June 3, 2019. Credible elections, conducted at regularly prescribed intervals, are the very soul of any democratic system. Article 324 of the Constitution of India bestows the relevant powers, duties, and functions upon the Election Commission of India while Section 14 of the Representation of the People Act, 1951 provides for the conduct of the elections to constitute a new Lok Sabha before the expiry of its current term. Taking into account these Constitutional and legal provisions, the Election Commission of India has announced a seven-phase poll schedule for the Lok Sabha and four state Assemblies. The first phase of polling would be held on April 11, while May 19 would witness the last phase. The counting of votes would take place on May 23. As per the election schedule announced by the EC, the election would be held in seven phases. The first phase would be held on April 11 for 91 seats, second phase on April 18 for 97 seats, the third phase on April 23 for 115 seats, the fourth phase on April 29 for 71 seats, the fifth phase on May 6 for 51 seats, the sixth phase on May 12 for 59 seats and the seventh and last phase on May 19 for 59 seats. Chief Election Commissioner (CEC) Sunil Arora said 10 lakh polling stations would be set up this time as against about nine lakh in 2014. Around 90 crore persons would be eligible to vote for the 543 Lok Sabha seats across the country. The Commission has taken into account the fact that the tenure of the Legislative Assemblies of the States of Andhra Pradesh, Arunachal Pradesh, Odisha, and Sikkim will expire on June 18, 2019, June 1, 2019, June 11, 2019, and May 27, 2019, respectively. After taking into account all relevant factors, the Commission has decided to hold elections for new Legislative Assemblies for these four States, simultaneously with the General Elections to the 17th Lok Sabha. Elections to the different Assembly Constituencies in the States of Andhra Pradesh, Arunachal Pradesh, Odisha, and Sikkim will follow the same Schedule as for the corresponding Parliamentary Constituencies of which these are the relevant Assembly segments. There are 34 casual vacancies in Legislative Assemblies of 12 States, as on 09.03.2019. In regard to provisions of Section 151A of the Representation of the People Act, 1951, the Commission has decided to hold bye-elections to these 34 Assembly Constituencies following the same schedule as for the relevant Parliamentary Constituency. The elections to the 543 Parliamentary Constituencies (PCs) and, in particular, the parameters to be considered for their scheduling and phasing, the Election Commission of India has planned meticulously for each and every aspect of election much in advance to ensure that these elections are conducted in a best professional manner. The Commission organized a series of meetings with the Chief Electoral Officers (CEOs) of all the 36 States and Union Territories (UTs) to review all the aspects of election preparedness in all the States and UTs and accordingly, appropriate instructions were issued to the CEOs for ensuring efficient conduct of the elections. 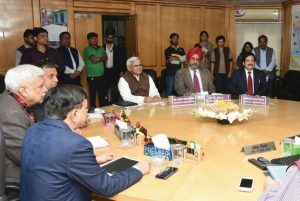 The Commission also held meeting with the Chief Secretaries, Directors General of Police, Home Secretaries, Chief Electoral Officers and Police Nodal Officers of all States and UTs on 21s t, 22nd & 28th January 2019, to assess the overall law and order situation, ascertain State/ UT specific areas of concern, to deliberate on the quantum of Central Armed Police Forces (CAPFs) required in each State/ UT and to review the overall preparedness of the election machinery. The cooperation of all authorities was sought for conducting free, fair and peaceful elections across the country, under the overall superintendence, direction, and control of the Commission. Keeping in view the interests of the students and also the fact that Polling Stations are mostly located in school buildings and teachers are engaged as polling personnel, the Commission has consciously factored-in the examination schedules of various State Boards, including the Central Board of Secondary Education, in the process of finalizing the poll dates. In addition to this, other relevant factors like various holidays and festivals falling in the months of March, April and May, harvest season in certain parts of the country and the inputs obtained from the Indian Meteorological Department on the pre-monsoon rainfall, onset and spread of monsoon and acute hot weather conditions in certain parts of the country have also been taken into consideration. Thus, while deciding on the number of poll days for each State/ UT and the composition of the PCs that go to polls on a particular poll day, the Commission has, to the extent possible, take all relevant aspects and information, related thereto, into view. The total electorate in the country as per finally published E-rolls in reference to 01.01.2019 is approximately 900 million compared to 814.5 million in 2014. This marks an increase of more than 84 million electors. Over 15 million electors are in 18-19 years age group. Electors in the age group of 18 to 19 years constitute 1.66% of total electors. The commission allowed enrollment of transgender persons with gender written as “Others” in the electoral rolls since 2012. The number of electors enrolled as “Others” gender is 38,325. 7 Parliament amended the Representation of the People Act, 1950, allowing enrollment of Indian citizens living overseas as electors. 71,735 overseas electors have been enrolled in the current electoral rolls. There are 16,77,386 service electors in the electoral rolls. Photo voter slips shall be used for guidance but not as identity proof in the polling station. Electors will be required to carry EPIC or any of the eleven Identity Documents as notified by the Commission. The Commission has decided to use Voter Verifiable Paper Audit Trail (VVPAT) along with Electronic Voting Machine (EVM) at every polling station of all the States and Union Territories to enhance the transparency and credibility of the election process as VVPAT allows the voter to verify his/her vote. The Commission has already made arrangements to ensure availability of an adequate number of EVMs and VVPATs for the smooth conduct of elections. The Commission has also mandated that VVPAT slip count of One (1) randomly selected Polling Station in each Assembly Constituency in case of Assembly elections and One (1) randomly selected polling station of each Assembly Segment of Parliamentary Constituency, by the Returning Officer, by Draw of Lot in presence of all candidates, shall be done for verification of the result obtained from the Control Unit. This mandatory verification of VVPAT slip count of one (1) polling station in each Assembly Constituency/each Assembly Segment of Parliamentary Constituency shall be in addition to the provisions of Rule 56(D) of the Conduct of Elections Rules, 1961. With this, the Model Code of Conduct comes into effect. Chief Election Commissioner Sunil Arora called upon all political parties to strictly adhere to the Code. Consequent on the announcement of the Schedule for the General Election, the Model Code of Conduct (MCC) for the Guidance of Political Parties and Candidates comes into operation with immediate effect in the entire country. This will be applicable to all Political Parties and the Union and State Governments and UT Administrations. Political Parties & Candidates” and shall be applicable & implemented in Lok Sabha Elections — 2019 as part of MCC. The Commission calls upon all the Political Parties, Candidates and the Union and State Governments and UT Administrations to strictly adhere to the MCC. The Commission has made elaborate arrangements for ensuring the effective implementation of the MCC Guidelines. Any violations of these Guidelines would be strictly dealt with and the Commission re-emphasizes that the instructions issued in this regard from time to time should be read and understood by all Political Parties, contesting candidates and their agents/ representatives, to avoid any misgivings or lack of information or understanding/ interpretation. instructions for swift, effective and stringent action for enforcement of Model Code of Conduct during the first 72 hours of the announcement of election schedule and also for maintaining extra vigilance and strict enforcement action in the last 72 hours prior to the close of polls. These Instructions have been issued in the form of Standard Operating. All the candidates are required to file an affidavit (in Form 26) along with their nomination papers. This affidavit will include information on the criminal antecedents of the candidate, if any, assets (including the movable, immovable properties and investments even in foreign countries, of the candidate, his/ her spouse and dependents), liabilities of the candidate, his/ her spouse and dependents and his/ her educational qualifications. The filing of the affidavit with all columns duly filled in is mandatory and its non-filing may result in rejection of the nomination paper by the Returning Officer, who has a duty to inform about such omissions to the candidate. The format of Form 26 has been amended vide Ministry of Law & Justice Notification dated 26th February, 2019. The Commission has circulated the revised format of Form 26 to all the States/UTs and Political Parties. With the amendment, it has been expressly provided that declaration on assets shall include full information about offshore assets. The candidates are also required to declare the total income shown in the Income Tax return filed for the last five years for the candidates, spouse, HUF (if the candidate is Karta or Coparcener in HUF), and for dependents. Facility for e-filing of the affidavit by the candidates is available. After e-filing, the hardcopy of the affidavit is required to be got notarized by the candidate and submitted to the Returning Officer within the prescribed format. The e-filing system will help candidates in filling up the information in the affidavit in the correct manner, without any omission. In pursuance of the judgment of the Supreme Court dated 13th September 2013, in Writ Petition (C) No. 121 of 2008, the Commission has issued instructions that in the affidavit to be filed along with the nomination paper, candidates are required to fill up all columns. If any column in the affidavit is left blank, the Returning Officer will issue a notice to the candidate to submit a fresh affidavit, duly filling up all columns. After such notice, if the candidate fails to file the affidavit, complete in all respects, the nomination paper will be liable to be rejected at the time of scrutiny. Candidates with criminal antecedents are required to publish information in this regard in newspapers and through Television channels on three occasions during the campaign period. A political party that sets up candidates with criminal antecedents is also required to publish information about the criminal background of its candidates, both in its website and also in newspapers and Television channel on three occasions. This requirement is in pursuance of the judgment of the Hon’ble Supreme Court in Writ Petition(C) No. 784 of 2015 (Lok Prahari Vs. Union of India & Others) and Writ Petition(Civil) No. 536 of 2011 (Public Interest Foundation & Ors. Vs. Union of India & Anr.). With the announcement of election dates, a stage has been set for an absorbing electoral battle between the ruling BJP-led National Democratic Alliance and the Opposition comprising the Congress, Left, and regional outfits. The ruling NDA, led by PM Narendra Modi, is trying to retain power banking on airstrikes against Pakistan while Opposition is making a bid to unseat the BJP. Coming days would unfold if the changed narrative because of the jingoism raised by the airstrikes and war hysteria works in favour of the ruling alliance or opposition is able to raise the issues related to slow economic growth, lack of jobs, Rafale controversy etc. 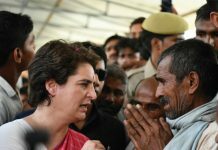 The alliance of Samajwadi Party and Bahujan Samaj Party would also be on test for the first time while the UPA in view of the rejuvenated Congress would make a strong attempt to come back to power. Previous articleWhy BJP should be wary of Congress? Mind it 2019 is no 2014!